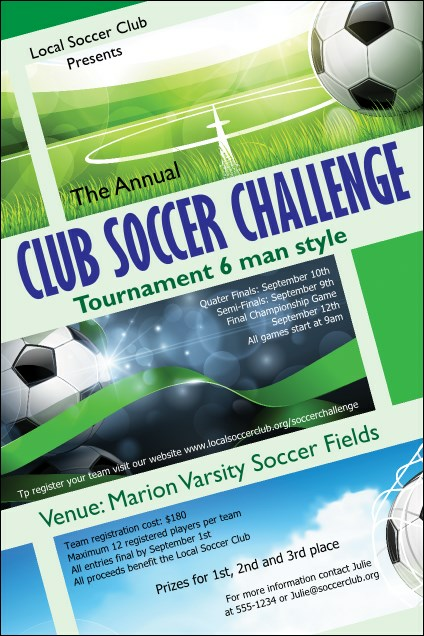 Promote your rec league or tournament and post the Soccer Ribbon Poster in advance. High resolution soccer balls decorate this design, with an azure sky and landscaped green field framing your details. Add all event information into nineteen lines on the easy template. Poster measures 291mm by 436mm appx. Browse TicketRiver.com.au for more sporty designs!